"Shhhh...." Is there something about you that you hope no one else ever finds out? You're not alone. Everyone has secrets--hurts, abuses, bad habits, fears. Big or small, secrets can destroy you from the inside out. The good news is that confession is more powerful than secrets--or the fear that keeps you from telling them. In "What's Your Secret? 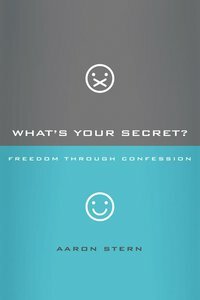 "Aaron Stern shows you - the powerful roots of secret-keeping- the difference between "good" secrets and "bad" secrets- what confession is (and isn't)- why letting go of secrets is so much more enjoyable than living in fear- how to strategically live a secret-free life Using personal stories and anonymous confessions from others, Aaron will remind you of the beauty of forgiveness and the joy that comes from living in the freedom God has always wanted you to have.